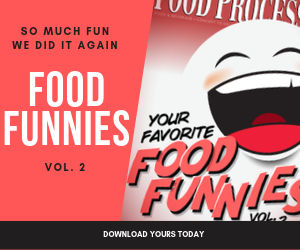 We take a break from our regularly scheduled seriousness to bring you this Food Funny by Food Processing. Write the winning caption for our June 2013 cartoon and be loved and honored by all. Here's how it works: Submit your caption by June 14, via email, for the cartoon that appears below. On June 17, the captions will put to a vote by you, our faithful readers. The winning captions will be featured on the FoodProcessing.com Web site and in an upcoming FoodProcessing.com eNewsletter. Your work on Earth is not yet finished. What part of "everlasting life" don't you understand?